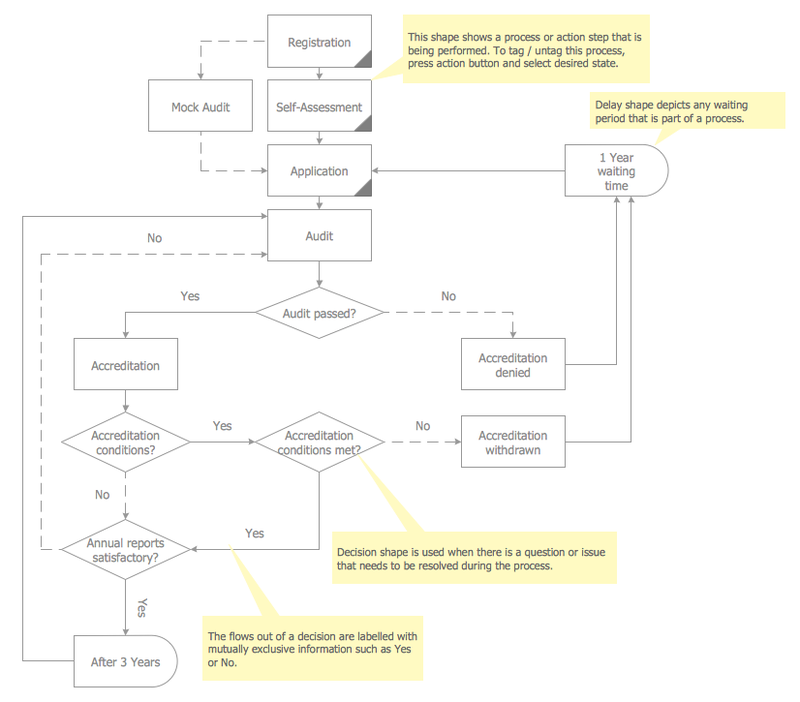 Designing the chart auditor can use the audit flowchart symbols from the Audit Flowcharts library for Audit Flowcharts Solution. Moreover it is convenient to use anyone of samples or templates offered by Audit Flowcharts Solution and design its own chart audits and audit flowcharts on the base of them. One of the main tasks for auditor is to analyze the charts. Analyzing the chart auditor defines the problem areas, then elaborates and provides the list of recommended changes and the ways to improve business process effectiveness. 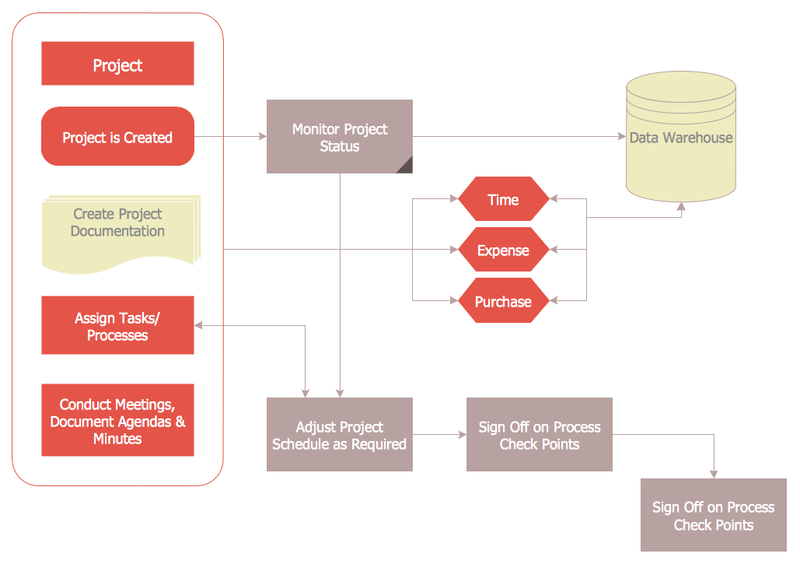 This sample was created in ConceptDraw DIAGRAM using the Audit Flowcharts library from the Audit Flowcharts Solution and shows the flow of the project management process audit. An experienced user spent 10 minutes creating this sample. Use the ConceptDraw DIAGRAM with Audit Flowcharts Solution to create your own professional Chart Audits and Audit Flowcharts quick and easy. ConceptDraw DIAGRAM v12 enhanced with Audit Flowcharts solution from the Finance and Accounting area of ConceptDraw Solution Park is a powerful diagramming and vector drawing software for designing professional looking Chart Audit of any complexity. Chart Audit is incredibly convenient for representing important information about audit process and audit planning process. It also helps auditors to define the problem areas and to elaborate the ways of their solving and effectiveness improvement.